Breakfast at Tiffany’s is one of our favorite movies ever. The star of the movie who plays Holly Golightly is style icon Audrey Hepburn. A woman who still inspires us to this day. Audrey her son Luca Dotti wrote a cook book full of memories of his mother and he also shares her recipes. So it is time to start preparing some delicious meals, while your baby can sit at the dinner table in the new Cybex LEMO chair, we choose the color Storm Grey in wood. 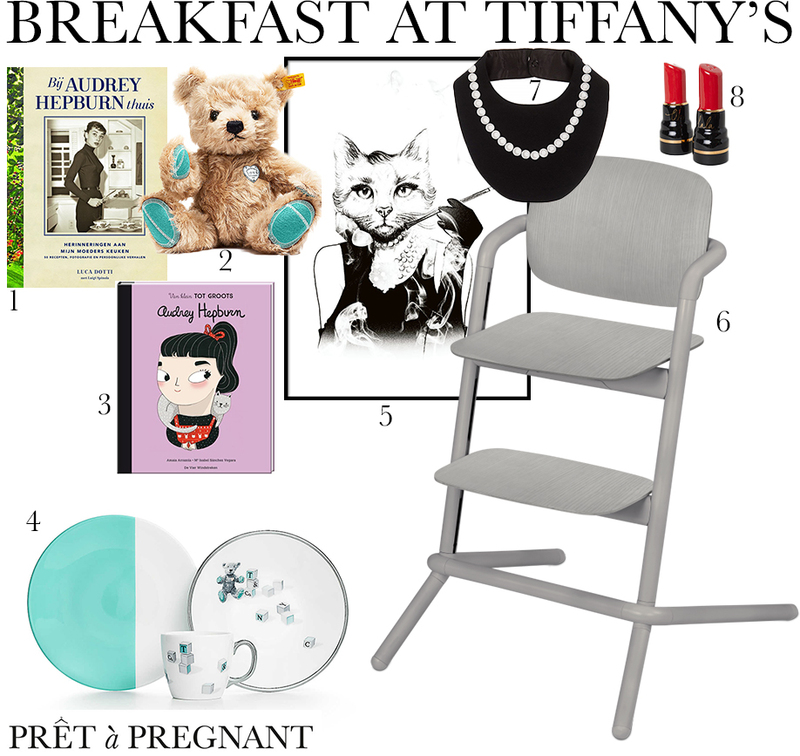 The calm colors goes perfectly with the Breakfast at Tiffany’s poster. Of course the china set of Tiffany & Co. for your little baby cannot be missed, just be really careful when serving food on these plates to your little one. 😉 Luckily your mini can keep his/hers clothes clean with a bib from The Tiny Universe! For a fun touch in the kitchen we found a salt and pepper set from H&M in the shape of lipsticks, we love it. Want to read more about the Cybex LEMO chair? Click here!